Punters have one goal above all others: to make money without losing their shirts over time. Hey, we totally get that. If you’re going to fork over cash that took you time to make, you want to get the most out of that money. We get that completely. What happens far too often is that punters get stuck, to the point where they give up great gambling gains rather than making something new. Don’t get discouraged. Here are three considerations that you need to make, especially if you want to win big. 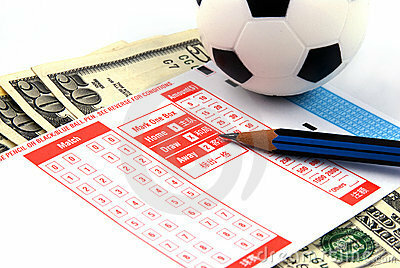 First and foremost, you want to check limits for each sportsbook that you’re interested in. Some sportsbooks have lower limits to make sure that you’re not gaming the system. While this is noble, it ends up limiting you in terms of how much money you can make. If there’s a low limit, you don’t have to live with it. You do need to contact support at the sportsbook and see what you need to do to get your limits lifted. If they can’t or won’t do that, then you might need to head somewhere else. Next, you want to look at those rebetting policies. Yes, this might mean that you have to dig into the technical guts of the site you’re interested in. But that’s the difference between a serious punter and someone else. They’re willing to put in the effort to get things done the right way, rather than just rushing in. Finally, there’s the issue of margins. Calculating the margins that you have to deal with when it comes to the sportsbook is like looking at how much money you can make. Don’t skip over that point. If you want to make the most money you possibly can, knowing what the fees are going to be matters. Overall, these might sound like “common sense” points. However, we see plenty of people that miss out on money because they’re not willing to get the basics out of the way. Good luck with your upcoming wagers!